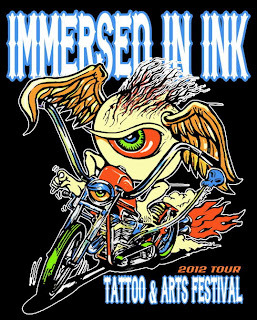 Immersed In Ink has announced the arrival of South Dakota's most prestigious Alternative Arts Festival to the Thunderdome, August 3-10. This festival will host over 100 of the nations' hottest Tattoo Artists and is open to the public for live tattooing, sideshows, human suspension, and more. Patrons can enter their tattoos in multiple contests daily or just come watch artists express themselves in this alternative art medium. In addition to tattoo artists from all over the world, the show will feature many different vendors selling merchandise from clothing to tattoo supplies and beautiful hand crafted art. Entertainment includes a comedy/magic stunt show by John Shaw and the Original Synners, Live Human Suspension, Circus Sideshows, Pole Dancing Competition, and so much more. "Tattooing and Piercing used to be a taboo form of expression but is now widely accepted as a mainstream art form throughout the World." Shannon Gutierrez, owner of GFORCE Productions explains in an interview with Immersed In Ink Magazine. "This festival promotes this alternative form of expression and provides patrons with the opportunity to learn about the culture and beauty of art in this medium. Tattooing, Piercing and Scarification (Body Modification) began many centuries ago with Polynesians and many other tribes who ceremonially labeled their kind. One could determine marital status, wealth, tribal status and so much more just by looking at tattoos. Tattoos were popularized in Western civilization in the 60's and became much more prevalent in the 80's with rock stars and hippies. Today, with more and more demand for the art and less risk involved with getting tattooed, Artists have learned to do amazing things with the Human Canvas. Immersed In Ink began producing shows 7 years ago throughout the US and this is the sixth show in our 2012 tour across the US. This festival will feature some of the best artists from all over the world showcasing their talent and entering to win awards." Immersed In Ink Magazine will be covering all three days of the event in this Free industry publication and will be conducting an Alternative Model Search all 3 days of the event. The winner will receive a multiple page spread in the Magazine and will also be featured on the cover of that issue. The show is open daily from 11am – 7pm, from Friday, August 3rd to Friday, August 10th. Admission is $10 a day. All entertainment is included in the admission price. The last way to win a free tattoo is as easy as showing up to the festival. The first 300 people through the doors Friday, August 3rd will automatically be entered into a drawing. The lucky winner will get a FREE $300 tattoo sponsored by Austin Dermagraphix. 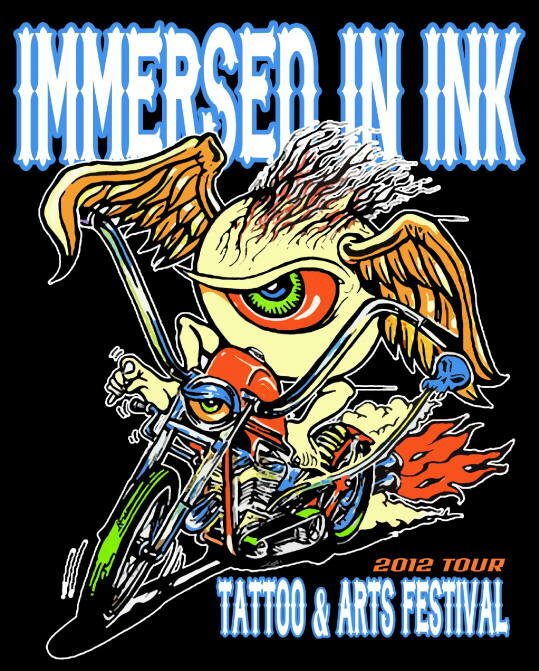 Immersed In Ink Tattoo & Arts Festival is sponsored by Little Bro's Tattoo as well as Austin Dermagraphix Tattoo and Arts Studio. More information about the festival can be found at www.TattooAndArtsFestival.com.